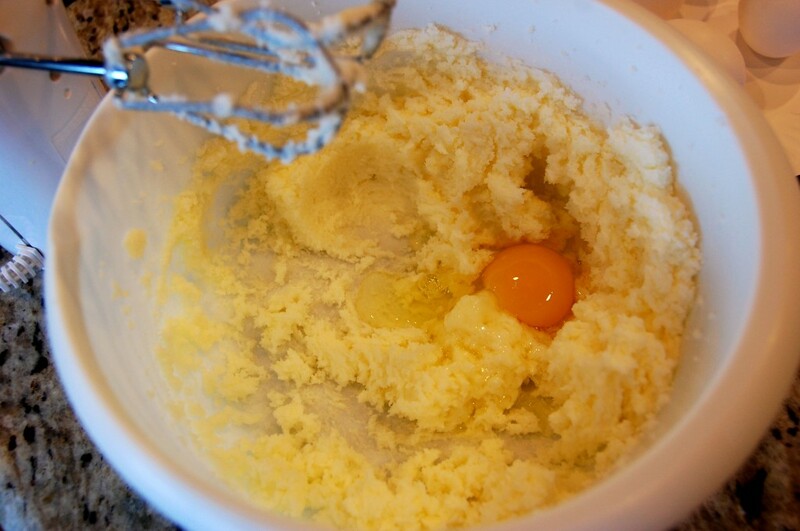 Are you looking for a simple cake recipe – something that you can add fruit to without worrying about a change in texture? This is the one! 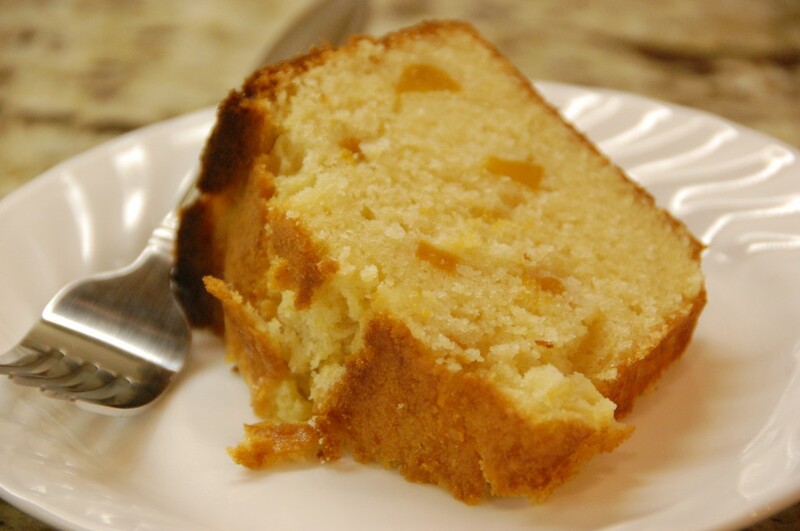 It’s similar to a pound cake – with a tight fine crumb – and a wonderful buttery flavor (enhanced by the addition of fruit). 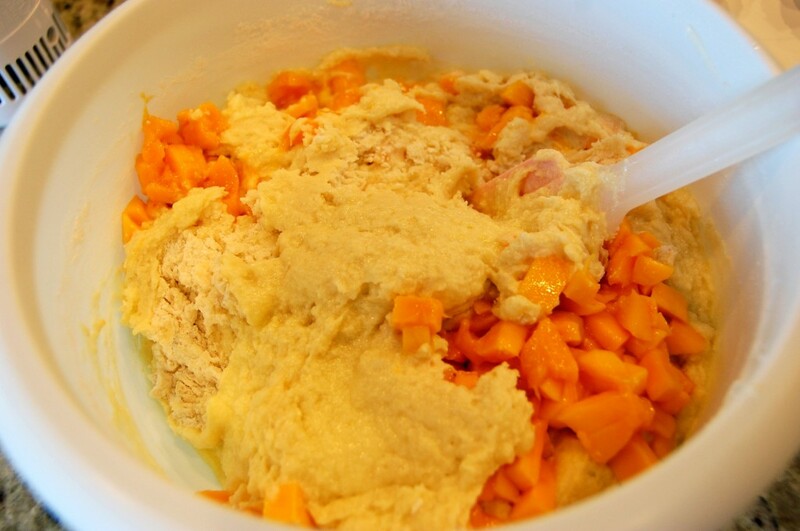 You can use mangoes, or anything “mango-like” in texture (peaches, apricots, strawberries, apples, pears, etc.) – just peel and dice. You could also use whole blueberries, raspberries, or blackberries. For this version, made with mangoes, I used “mango extract” for flavoring. But you can substitute with other flavors – lemon extract, vanilla extract, almond extract… whatever you think goes together. For example, I might combine chopped up peaches/apricots with almond extract, apples/strawberries/blueberries with lemon extract, and other fruits with vanilla extract. 1. Preheat oven to 350 degrees. 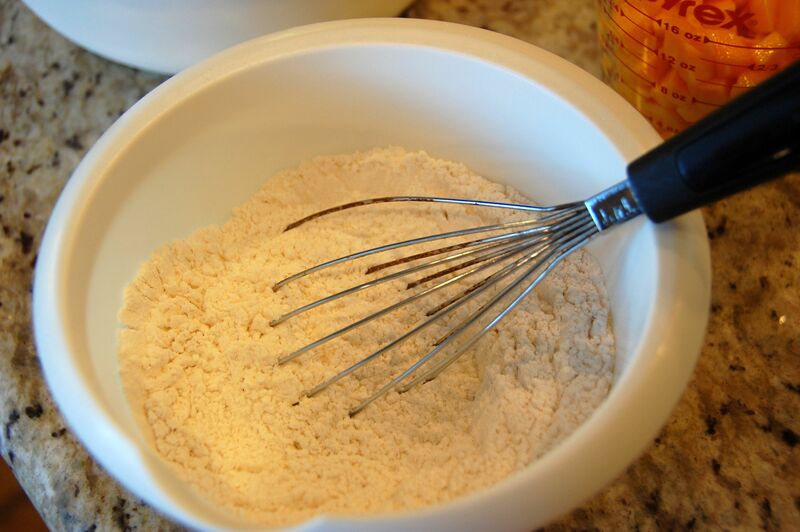 Spray an angel food cake or bundt cake pan with non-stick spray. 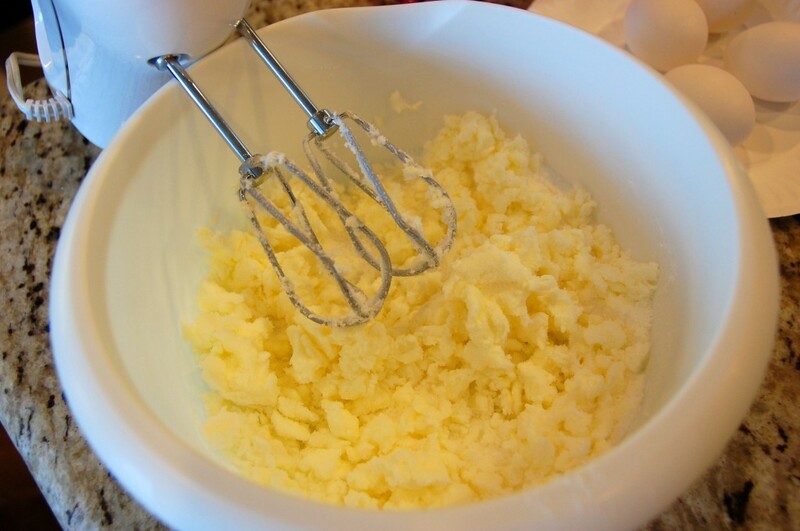 Sift the flour, salt, and baking powder. 3. Add the eggs, one at a time. 4. Add the milk and mango extract, pour over the flour mixture, and mix gently until just combined. 5. Stir in the mango. 6. Pour into the prepared pan, and bake for 45-50 minutes. 7. Cool for 10 min before inverting. Sorry, I didn’t measure weight for this recipe. As far as volume goes, 1 c. = 8 oz usually, but you can’t really convert volume to weight – the recipe won’t turn out. do you use just all purpose flour? Yes. Anytime I list “flour” I mean “all purpose flour”. 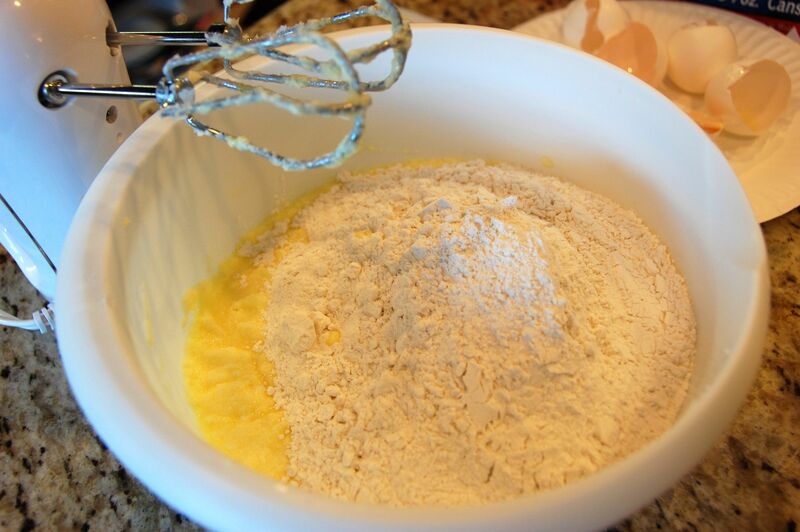 If a specialty type of flour is preferred (such as cake flour), I will usually list that qualifier too. Happy baking! I would like to put some frosting what ? can I bake it in normal cake tin? 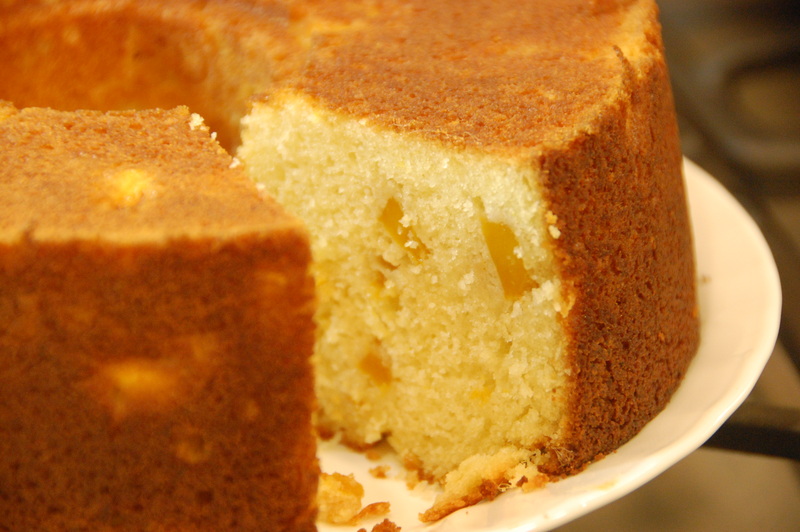 This is similar to a pound cake – which is very dense. So you can bake it in a 9″ X 5″ loaf pan instead of a tube pan if you like. 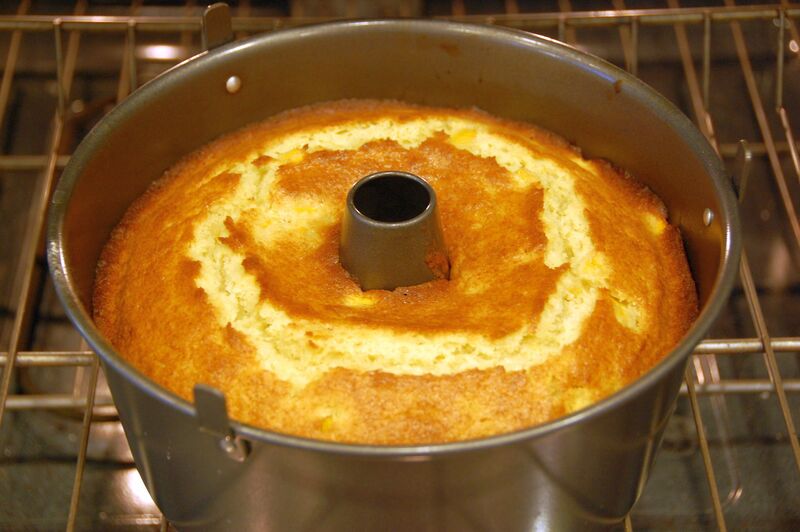 I haven’t tried to bake it in a round cake pan – my guess is that it won’t work out as well (the edges might be overcooked while the center is undercooked). 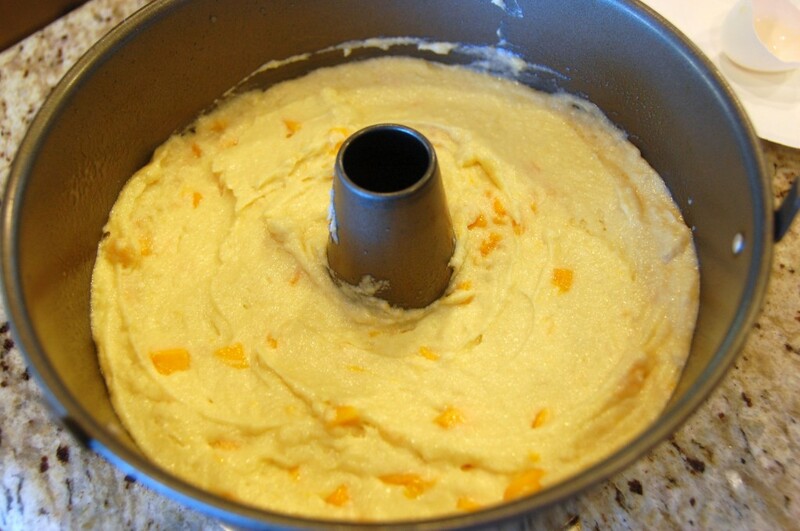 You can, but keep in mind this is a denser cake similar to poundcake (it won’t be light like a traditional cupcake). If you choose to use a cupcake or muffin pan – you will probably need to decrease the baking time… I would start checking around the 25 minute mark for doneness. What is 1 T baking powder stated in the mango butter cake recipe? 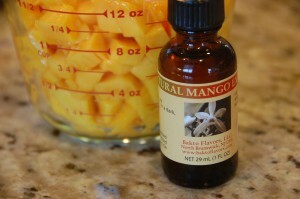 Hi, I just want to find out if I can use puréed mango instead of mango extract? You probably could, although it depends on how much you are going to use. Fruit puree will not have as concentrated a flavor as extract, and if you add more of the puree for more flavor – it could throw off the moisture balance in your recipe. Maybe try it and see if it turns out? It might be better to use vanilla extract instead. 1/3 c. = between 5-6 T.
Sorry I’m not really sure. You might have to experiment.